Liczba stron: 373 Jest to ujednolicona liczba stron, która ułatwi Ci porównanie długości książek. Każda strona Legimi to 200 słów. 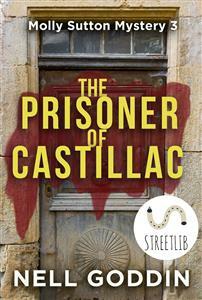 What if Valerie is still alive?Virtually no one in the village of Castillac holds out any hope. It has been seven years, after all. Seven years since the popular, mischievous Valerie Boutillier disappeared without a trace. The exertions of the gendarmes, led by Chief Dufort, yielded almost no clues, and his failure to solve the case had been one of the main reasons he quit the force.But then a shred of evidence appears. It might be nothing. But Molly Sutton isn’t afraid to grab hold of it and take it as far as she can.Will a shred be enough? And if Valerie is still alive, how will Molly and Ben ever find her in time? His girls were anxious in the morning, nosing up to the fence, mooing. He had thirty-two cows in his herd, all Holstein. It was not large, as herds go, but it was enough for Achille and all he could handle by himself. Any more and he’d need to hire help, which was out of the question. He whistled to Bourbon and the dog scampered around behind the cows and pushed them through the gate. They clopped up onto the concrete floor, into the barn. The smell of manure was deep and sweet, mixing with the scent of spring mud and all the plants in the pastures and woods coming back to life. Before going inside to do the milking, Achille tipped his head back and inhaled, and a smile broke over his face. He was the kind of man who most of the time had a rather affectless expression—not angry, not upset, but implacable—and the smile looked awkward on him, as though his facial muscles were confused. Bourbon knew what to do and the girls did too. They jostled along, each cow wanting to get to the stations first, and Achille went down the row with the milking claws and hooked their teats into the teat cups in preparation for milking. He had taken out a monstrous loan to pay for the machine and the barn that housed it, but that’s what farming was like nowadays, and he felt he had to do his best to stay up with the latest dairy technologies, even if in his heart he wished he still milked all his girls by hand and plowed the fields by driving a plough-horse. Achille lived alone in the small farmhouse he had grown up in. His parents had died almost ten years ago, when he was in his early twenties. Both of them gone the same year, both buried under an oak in the middle of the back hayfield. After their deaths, the central problem of Achille’s life, as he saw it, was a terrible, aching loneliness. And yet he would not venture into the village of Castillac, which was nearest to his farm, and seek the company of others. He was far too timid. He imagined that strangers were talking about him unkindly, or making faces behind his back. He was certain he would never be able to think of anything to say if he dared go to the market on Saturday mornings and someone greeted him or even simply asked which artichokes he would prefer. No, Achille guarded his privacy above all else. And he loved his cows and his dog and they gave him a great deal of solace. Just walking through the herd and bumping up against their big bodies and smelling their earthy cow smell—that went a long way towards assuaging his loneliness. But it was not enough. Wouldn’t anyone say the same? May was looking far better than winter, with bookings for Molly Sutton’s gîte business at her place, La Baraque, finally starting to pick up. During the slow winter months, her fear of being carted off to a French poorhouse had been vivid even though she was pretty sure poorhouses no longer existed. At the moment she had an Australian couple and their baby staying in the cottage for ten days, and a single older man coming on the day the Australians were leaving. Her bank account was lean but not empty, and before long the rebuilt pigeonnier would be ready to rent as well. True, there was more to running a gîte business than she had anticipated—more paperwork, mostly, and the necessity for nerves of steel when the cottage sat empty for months on end during the cold winter—but on the whole, it was turning out to be almost ridiculously fun. She loved meeting her guests and figuring out what she could do to make their vacations perfect. She adored not going to an office every day for eight hours or longer. She didn’t even mind doing repairs, although it would be nice if things didn’t break down quite so frequently. And here it was, glorious springtime, and at long last Molly could throw herself into the making of the garden she had dreamed about ever since first seeing the photographs of La Baraque online over a year ago. She was having a third cup of coffee while checking her email and corresponding with potential guests when she heard someone banging on the door. “Bonjour Constance! I thought it must be you,” she said, smiling and opening the door. Constance fell into Molly’s arms sobbing. “What’s wrong?” said Molly, putting her arms around her. Constance lifted her head and started to speak, and then dropped it heavily on Molly’s shoulder and kept crying. Molly stood and held her, thinking it was probably boyfriend trouble. She was not wrong. “I thought he was different!” Constance got out between sobs. “Didn’t you, Molly? Didn’t Thomas seem….” and then she was off again, bawling so hard her whole body shook. Constance was Molly’s occasional house-cleaner, a young woman not terribly talented at her job but of whom Molly was very fond. Molly led her over to the sofa and sat her down. “Tell me what happened,” she said. “And I swear she snatched Thomas away just to beat me again! I’ve got the same sick feeling in my stomach I used to get on the playground when I was nine years old!” A gust of crying hit her and Molly squeezed her arm and got up to find some tissues. “Well, a few weeks ago, Thomas started acting kinda funny. You know, not answering my texts and not saying a whole lot when we were together. And I’ll tell ya, one of the things that makes Thomas and me get along so well is that he’s a talker. I can’t stand that silent type, you know? And Thomas isn’t like that. He’ll talk about anything too, it’s practically like having a girlfriend. But with benefits,” she added, and then burst into tears again. Eventually, after a cup of tea and sandwiches and quite a few more outbursts, Molly got the story out of her. An old story, to be sure: her boyfriend Thomas had begun to be less attentive and less available, and eventually Constance found out that he had been seeing Simone Guyanet on the side. “But why didn’t he just break up with you and then go out with Simone?” asked Molly. “Chicken-hearted weasel-pigs,” said Molly in English. “Huh?” said Constance, who had taken English in school but knew only about six words. “That’s me, Molly, your philosopher-housecleaner. I do it all. Just not windows, if you please!” She was trying to joke but her shoulders were so slumped they no longer looked like shoulders, and her usually open and smiling face was mournful. Benjamin Dufort, late of the gendarmerie, was up at five in the morning for a run before heading off to his temporary job at a nearby farm. Another man might have been satisfied with the physically demanding work and not pushed himself to run in addition to it, but running was a habit Ben was unwilling to give up, no matter how inconvenient and unnecessary it was. He allowed himself one cup of coffee before heading out, then laced up his tattered sneakers, put on a wind jacket, and hit the road. It had been no small thing, giving up his work at the gendarmerie. Years of police training and experience tossed away in one impulsive moment. But he didn’t regret it. No, there was no regret—and yet his mind was still not at ease. The story he was telling himself was that he was really not good at delving into the minds of criminals. He didn’t understand what made them tick and he believed that made him a poor detective, because no matter how diligent a person was about following procedure, a great detective or even just an adequate one has got to be able to put himself in the perpetrator’s shoes, to take the imaginative leap so that he can anticipate what the criminal will do next, and have insight into where he might have tripped up. But Dufort was made of sunnier stuff; he naturally avoided darkness, and when he had been in charge of cases where slipping into the dismal and dangerous state of mind of a potential criminal was necessary, he had not been able to do it. At least, this was the reason he assigned to his failures. And he did not see how he could continue living a life doing a mediocre job when people were depending on him, and more than that, desperate for him to succeed. The farmer he was working for was Rémy, an old friend. He depended on Dufort’s help, and it was a real pleasure to Dufort to show up every day on time or early, ready to exert himself fully in the bracing spring air, and then go home pleasurably exhausted. It was strenuous work but he could handle it easily. At the end of the day, he felt, for the first time in years, as though the workday had been a complete success. No loose threads, no one disappointed. After his run, he changed clothes without showering since he would be sweating the minute he started work—and Rémy wouldn’t give sweat a second thought. Then he drove over in his battered Renault, leaving the tiny apartment which was all he could afford after quitting the gendarmerie and being out of work for several months. “Salut!” he called to Rémy, who was taking some heavy bags of chicken feed out of the back of his truck. “Get over here, you lazy sod!” shouted Rémy. “Why do you say that?” asked Dufort, surprised. “But if that is what farming is to you, a way to lower stress, and a workout—like going to a gym but in a prettier place? Then you’re not…see, I enjoy the labor too, most of it. But I also get a genuine thrill when I see the lettuce sprout. It’s a chore to collect eggs but I notice how warm they are in my hands—and I think nothing is funnier than a chicken. And beyond that, it matters to me to grow the highest quality food I possibly can. It’s like I have a calling in a way, you understand? “But you, Dufort—this is not your mission.” Rémy pulled on a straw hat, the sun already bright. “What if I don’t have a calling,” answered Dufort. “You and your New Age hippie talk,” laughed Dufort. Rémy got his friend organized with a large fork and a wheelbarrow, and showed him where the compost and mulch were before taking off in his truck. My calling, thought Dufort, rolling his eyes. And then he got to work, shoveling a load of compost into the wheelbarrow with a wide shovel, and then making another trip to fork in a load of mulch. He managed to apply the compost and mulch as Rémy had directed him, but his mind was somewhere far away. He did not notice the lovely asparagus shoots, poking their purple heads up through the dark crumbly soil, or the clouds that rolled in, threatening rain. Instead he was thinking about Valerie Boutillier and Elizabeth Martin, two young women who went missing right after he first came to the gendarmerie of Castillac. Their files were always open on the desk in his mind, and as he worked, he leafed through the pages, becoming so absorbed that by accident he completely covered the spinach with mulch too. The first thing was a note, stuck with a bit of tape to the front door of the station. No envelope. The paper just a torn scrap of graph paper like that used by schoolchildren. Like a clichéd ransom note, the letters had been messily clipped from newspaper headlines and formed in a sentence: I saw VB. That was it. No signature, of course, and no further elaboration. Gilles Maron removed the paper from the door of the station with tweezers and sent it in to the forensics lab along with the tape for fingerprinting. Others may have called him overly meticulous at times, but to Maron’s mind, there was really no such thing. The way you gathered enough evidence for arrests was by being careful at every opportunity, doing your very best not to let anything slip past—not a bit of thread, a hair, a phone tip, a fingerprint. Perhaps he would have been tempted to be less meticulous in this instance if the initials had been something else. But “VB,” he immediately realized, could be Valerie Boutillier, a young woman who had disappeared before he came to Castillac and never been found. A stone cold case, and a cloud over the village that many had not forgotten. “VB” could mean Valerie Boutillier, or something else altogether. The note could be insignificant, the initials just a random coincidence, a childish prank. Or it might be a mean sort of joke, someone trying to lure the gendarmes on the Castillac force into opening up the case only to waste resources on a case with no new evidence or leads. Maron did not mention the note to Perrault, the other officer. He wanted to wait to see what the lab had to say first. Maron was extremely pleased to have been promoted to Chief, even if it was only an interim appointment while the gendarmerie found someone to replace Benjamin Dufort, who had surprised everyone (except perhaps the herbalist who prescribed his anti-anxiety tinctures) by resigning his post just before Christmas. Unlike Dufort, Maron was not from Castillac. He was from the north of France and had not made many friends in the village. Which was how the gendarmerie liked it, believing officers did more objective work if they lacked deep ties to the people in their jurisdiction. He was mostly skeptical about the note. It was very likely meaningless. But what if someone really had seen Valerie? Why not simply call the gendarmerie and report it? Did something about the circumstances—who she was with, or where she was seen—make the witness wary? Molly spent most of the day in the potager, weeding and turning over the soil in the raised beds. No one had lifted a finger there in some time, and it had taken days of clearing vines and even small bushes before the raised beds were clearly visible. Six of them, about half a foot high—or eight centimeters she should say, in an effort to practice the switch to metric—surrounded by deep blue porcelain tiles. The tiles were more for decoration than anything else, as they weren’t very stable and dirt spilled through the cracks onto the path. But Molly decided to keep them because she liked looking at them, and wondered about the former inhabitant of La Baraque who had put them there. Growing vegetables wasn’t her favorite part of gardening. It was practical, yes, but for Molly practicality wasn’t at the top of her list. What she liked most was abundant, fragrant blooms, disorderly and lush, and her plan for this vegetable bed was to make it as ornamental as possible. So far she was thinking artichokes, so glorious with their grand thistly heads, and she had started five plants indoors under a light. It was time to get their home in the garden ready. After all that labor, her back feeling it, she texted her friend Lawrence Weebly to see if he’d like to meet her for a drink, and when he immediately answered OF COURSE, she went inside, showered, and was on rue des Chênes on the way to Chez Papa in record time. “Hello, my dear!” said Weebly in a posh English accent when she came in. “Well, you did have Frances,” said Nico, almost shyly. “Until you stole her!” said Molly. Her best friend from the States had come for a visit, but once Molly started having paying guests again, Frances happily moved in with Nico, never being one to resist romantic impulses. “Oh poor poor you,” said Nico, walking along the bar as he wiped it down. “Well, you know how it is,” said Lawrence, and Molly thought she saw a fleeting expression of pain on Lawrence’s usually cheerful face. “I actually did fall in love, embarrassing as that is to admit. He was a little younger than me, but not much. Beautiful beyond words, and tremendously amusing.” Lawrence took a big swallow of his drink and did not continue. She waited to see if Lawrence wanted to talk any more about the man in Morocco. When she saw that he didn’t, Molly continued, “I’m sorry it didn’t work out.” There was a long silence as all three of them got lost in their own memories for a moment. Molly put her arm around him and gave him a squeeze. “No more murders are on the docket at least,” she said with a laugh, and Lawrence thought perhaps he could detect a slight air of disappointment in Molly’s tone. Frances had borrowed Nico’s car so that she and Molly could drive to Périgueux where there was a flea market that afternoon. “Are you ever going to get your own wheels?” she asked, as Molly climbed in. Bobo’s head drooped. Then she turned and loped back to the house and curled up on the doorstep, the picture of dejection. “You know, ‘Bobo’ is a very undignified name for that dog. I think she deserves better,” said Frances, just managing to turn around without running the car into the flower border. On the half hour drive to Périgueux, Molly and Frances chattered about how good the chicken had been at Chez Papa the night before, and about Lawrence’s fizzled romance. They argued about whether iron bed frames or wood were preferable. And before long Frances was pulling into an underground parking lot in the center of town, making the tires squeal as she rounded the tight corners. They wandered into the old section of Périgueux, swiveling their heads all around so as not to miss anything. The streets were narrow, most likely former cow-paths as the streets were very old, and the buildings close together. Molly didn’t understand why old buildings made her so happy to look at, but they did. They had stood there so long, seen so much history, held so many mysteries…. The flea market surrounded the old cathedral, an unusual Byzantine and Romanesque building with large domes. Sellers were clustered all around it, with small items on tables or spread on blankets, and furniture of all shapes and sizes was on offer. “Just made for flowery-smelling cat pee,” agreed Frances. “La bombe!” a man said, almost in Molly’s ear. She turned to find Lapin standing with his arms open, grinning. Awkwardly they kissed cheeks. “She doesn’t speak French,” said Molly. “No problem,” said Lapin in English, introducing himself again. “Very nice to meet you,” said Frances, giggling. Molly wanted to elbow her in the ribs but restrained herself. “All right, we have much to do—I’m trying to outfit my pigeonnier. À bientôt,” said Molly, beginning to walk away. Molly and Frances followed Lapin as he nimbly moved his big self through the maze of sellers and their furniture. Molly was torn. She needed his help but didn’t especially want it. Lapin made such a pest of himself most of the time, although she had to admit he had toned down his ogling and suggestive remarks after the Amy Bennett case. “The cottage could use a little jazzing up,” agreed Frances, and Molly shrugged, though she thought maybe her friend had a point. Several hours passed as the three of them argued the merits of each piece and then haggled with the merchants, but by noon the purchasing was complete, the deliveries arranged, and all that remained to do in Périgueux was find the place where they sold the most delicious prunes stuffed with foie gras, and then eat lunch. Molly considered inviting Lapin as a thank-you for his time and help, which had been substantial. Then she talked herself out of it. Then back into it, then out, then in…and finally Frances asked him to join them and her fate was sealed. Back in the fall if she had been told that in a few months she would feel grateful to Lapin and willingly sit down to lunch with him—and even pay for it—she would never have believed it. But then, looking into the future had never been one of Molly’s talents. Maron stuck his head out of what he still thought of as Dufort’s office, and called for Thérèse Perrault. She wasn’t exactly thrilled about having Maron as her boss, but told herself it was a test of both her flexibility and ability to hide her feelings at work, which were skills she knew she needed to develop if she wanted to succeed in the gendarmerie. “What’s up?” she said evenly. “Take a look. It was taped to the front door the other day.” The note was sitting on his desk and he pushed it towards Perrault. She read it, looked up quickly at Maron, and then studied it more closely. “And you didn’t tell me?” Perrault’s face was blazing. Maron froze when Perrault began to speak. The truth was, he was uncomfortable being in charge of anyone, and spent much of his energy trying to hide that embarrassing fact. He had a grudging respect for Perrault, which she returned, but they were not friends, and they had not worked together all that happily in the past. Maron lifted the corners of his mouth in the direction of a smile, but not quite far enough to actually be a smile. “And did the village think that was amusing?” he asked. Maron looked out of the window. He would never have guessed that he would be far more comfortable taking orders than giving them, but that was precisely how things were turning out. “Just bring me one piece of additional evidence, something solid, and I will formally open the case again,” he said. “In the meantime, if you would like to ask around, see if you can find out who put the note on the door? Go ahead, as long as your other duties are taken care of first,” he said. “Yes, sir,” said Perrault, with not quite enough sarcasm for Maron to chew her out for it. Molly’s current guests, a lively Australian couple, wanted to drive over to Rocamadour, an ancient village built right into a rock face high above the river Dordogne. The morning they were to leave, they rapped on Molly’s door. “Bonjour, Ned and Leslie! Are you all set for your excursion? The drive isn’t bad from here, though I admit I haven’t done it myself.” Then Molly paused, seeing something was wrong. Molly nodded. Bobo came up behind Molly and stuck her head between Molly’s legs. Molly laughed, although she considered non-coffee-drinkers to be a species of human she could not comprehend. She thought of Constance, but wasn’t sure if she had any experience with kids, especially sick ones. She thought her neighbor Madame Sabourin might know of someone, but that might take time. “Oh hell, I can do it,” she blurted out before she could stop herself. “Of course he’s taken with me. I’m the chocolate lady,” laughed Molly. When the family had first arrived, Molly had brought Oscar a small chocolate bell—the French version of Easter candy. Leslie took Molly to the cottage and showed her where the diapers were and told her Oscar’s general schedule while Ned packed up the car. Within ten minutes they were gone, and Molly was alone in the cottage with a sick eleven-month-old. Who was thankfully having a morning nap. Molly crept into the bedroom and over to the crib, glad she had found a sturdy one at the flea market a few months earlier. The little boy was asleep on his stomach, his arms sticking straight up over his head, and one knee bent up. His face was flushed and his brow sweaty. Molly wanted to stroke his cheek but was afraid to wake him. Quietly she went back to the small kitchen, and steamed some vegetables for his lunch. The orange cat appeared from nowhere and rubbed up along her leg. Molly heard a low grumble but then the sound of the dog flopping down on the doorstep. The cat streaked into the bedroom and jumped into the crib. Molly cursed under her breath and ran after it. Oscar was sitting up, rubbing his eyes. The orange cat was rubbing along his back, its tail wrapping around into Oscar’s face, making him giggle. Oscar reached his arms up for her to pick him up and the gesture made tears spring to Molly’s eyes. He was so trusting! So willing to adapt to what was happening, even if that meant an almost complete stranger mysteriously replacing his parents. Molly reached into the crib and lifted his small body, pulling it into hers. She smelled his hair and let her cheek touch his. “I don’t know about you, but I love to play,” she said to him, and with a pang realized that there was not a single toy anywhere at La Baraque. She carried Oscar into the other room but saw nothing in the open kitchen/living room either. Ned and Leslie must have driven off with everything except for the stuffed animal in the crib, or possibly they thought toys were bad for some reason? If there was one thing Molly understood at the age of thirty-eight, it was that people were nutters. She didn’t follow the latest trends in parenting, as it only reminded her of what she wished for but did not have, and so if there were a robust anti-toy movement she wouldn’t know about it—but wouldn’t have been surprised either. She put Oscar down on the wood floor. He crawled a short way and then sat, looking at her. He rubbed his eyes again. “Right. Mum. She’ll be back before long,” said Molly, knowing it was at least a two hours’ drive each way, and a lot of walking and sightseeing once you were there. She and Oscar had many hours to kill before Mum was going to show up. So Molly played peek-a-boo. She made up a long story about goats and a mean orange cat, successfully changed a diaper, and served him lunch on the front step, in the sunshine. She delighted in Oscar’s company and simultaneously felt trapped and desperate to get free. When her cell phone rang Molly was relieved to make contact with the outside world. Molly could hear a horn honking in the background. “Hey Thérèse, how are you?” The two had been friendly since Molly had helped with a couple of murder investigations. Valerie Boutillier. A beautiful name, thought Molly. And now, maybe, just maybe…still alive, against all odds. Valerie had disappeared years before Molly moved to Castillac, but she was not forgotten there, and Molly had heard enough stories about her to feel as though she was not a total stranger. And now someone had seen her. Molly did not spend any time doubting the note. She reasoned that if it turned out to be a joke of some kind, there was no harm in having done whatever they could in the way of investigation. Far worse to disbelieve it, do nothing, and never know if the note had been true or not. It might be true. And for Molly—and Thérèse Perrault—“might” was good enough. Molly’s plan was to take Oscar into the village and see whom she could find to talk to about Valerie. She had no stroller and certainly no baby carrier, so she took him to her house. In the foyer she found a very wide and long heavy cotton scarf, wrapped it around them both leaving spaces for his legs to hang down, and knotted the ends. With a little adjusting, her improvised sling seemed to be working perfectly, the baby secure against her chest. She bent her knees quickly and stood up, and Oscar gurgled happily.